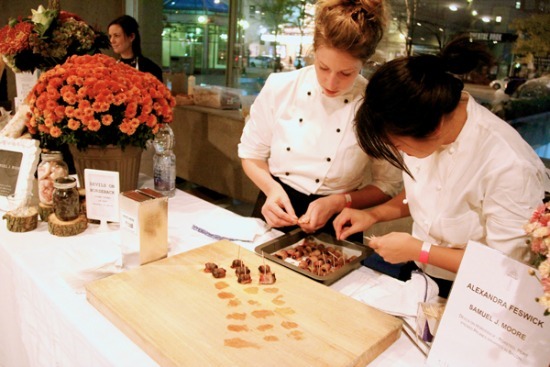 Since 2010, Chef Kirk has wowed Toronto with her culinary talents as Chef at Ruby Watchco. 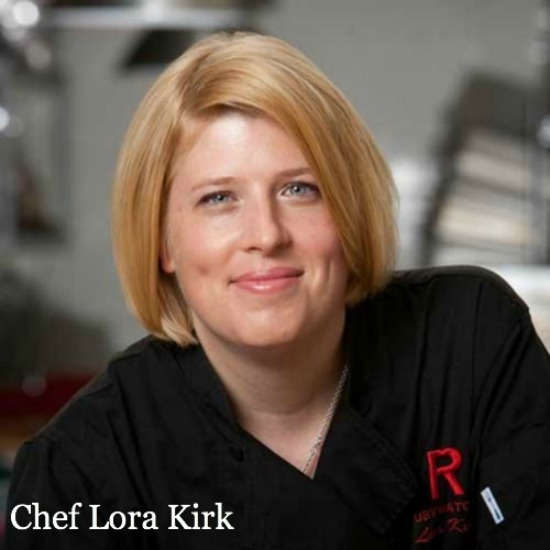 Chef Lora Kirk from talks to us about her favourite ingredients, why she prefers supporting local food producers and her perfect food day. 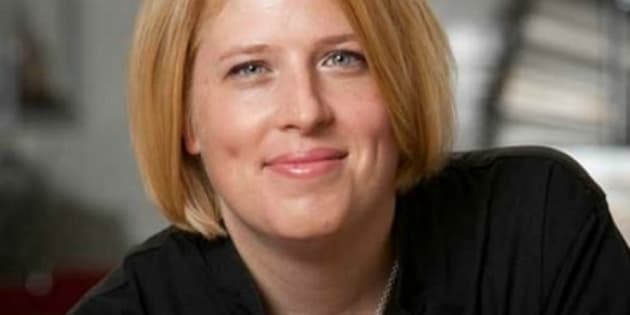 Chef Lora Kirk from Toronto's Ruby Watchco talks to us about her favourite ingredients, why she prefers supporting local food producers and her perfect food day. Discover Lora's favourite local foods and recipes in her bacon-themed Chef's Box. Chef Kirk has established a reputation as one of Canada's top female chefs. Shortly after graduating from Algonquin College, she gained her culinary strength working for Michelin starred chefs Gordon Ramsay and Angela Hartnett at the famous Connaught Hotel in London. Chef Kirk returned to Canada as Truffle's Chef at the Four Seasons Hotel in Toronto, winning numerous awards, and has even cooked at the James Beard House in New York as well as Kitchen Stadium on Iron Chef America. During a period in New York City, Chef Kirk's talents were again recognized with a Top 10 New Restaurants award from the New York Times and a prestigious Michelin star. Since 2010, Chef Kirk has wowed Toronto with her culinary talents as Chef at Ruby Watchco. Supporting local food producers is important to me because I want use the best quality products and support my community. I want products that are at the peak of their freshness with no travelling time. I want to know who grows, picks and packages my produce and how it gets to my door. By supporting local farmers, you can ask questions about how your food is raised and grown. I want to support local people, my neighbourhood and my community. I want to know what's happening with my food. I want to give back to the community. Why not get better food for a better price? Beautiful food, my team of young cooks and my mentors inspire me every day. I love to eat and cook and be creative. When I'm hungry, my stomach motivates me. It's all about the season. People think they are limited by using local products, but we're not. Use what you have. Be thankful for what you have. Sometimes more is not better. In fact, this drives us, as chefs, to be really creative. For example last night at Ruby Watchco, we poached kohlrabi in our own lemon, chili and rosemary syrup, and then served it with deep-fried rosemary. I never want to have to do something twice and my mentors -- Alice Waters, Barbara Lynch, Angela Harnett and Lynn Crawford -- inspire me to keep pushing the limits. The chefs I've worked for throughout the years make me strive for knowledge, energy and focus. In turn, I want to pass that on to my team of young cooks. My favourite food events of the year are local events, like Brewer's Plate, Not Far From the Tree and Foodstock, that are about local people supporting local charities. Eat to the Beat is another great Toronto event featuring 60 great female chefs in support of women diagnosed with breast cancer. Seafood for Thought takes place at the Toronto Zoo -- what a fun venue! I like any food event that doesn't showcase the chef -- I don't ever want an event to be about me or the restaurant where I work. I want to participate in events that promote cancer research, local farmers, local products and my neighbourhood. My main goal is always, how can I help? 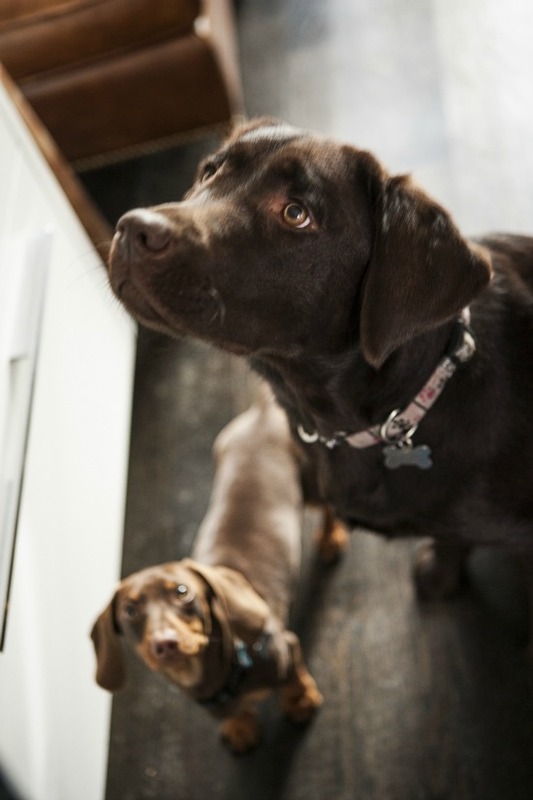 My perfect food day would involve lots of casual home cooking and relaxing with my two dogs, Porkchop and Charlie Pickles. I'd start off at home with a Sunday coffee (with a little splash of Baileys), two eggs over easy, country ham and tattie scones. For lunch, I'd go out to a casual spot nearby. I'd start with a Greyhound or Spicy Bloody Mary and I'd have my favourite sandwich... a crispy Reuben on dark rye, loaded with thinly sliced corned beef, melted Swiss cheese, sauerkraut (the sauerkraut better be similar to my Babka's -- with fennel, black pepper, caraway and bacon), Thousand Island dressing and mustard. Please don't forget the mustard. After lunch, I might call Fred Davis from FredD's Bees to look at the beehive that our bees are working on and sample some honey. For dinner, I'd cook rib eye steaks basted in brown butter and served with caramelized mushrooms and onions, and some seasonal greens. I'd relax at home with my dogs and a good movie. My favourite kitchen gadget is my vegetable speed peeler. I have a lot of vegetable peelers at home, so I rotate them based on colour and depending on my mood. My go-to dinner on a busy night is always eggs. I grew up on a farm and we always had fresh eggs. It might be bacon and eggs, an egg sandwich with lettuce and spicy mayo or hot sauce, sushi rice topped with a poached eggs and hot sauce, or pasta with veggies and a half scrambled egg. There are a few ingredients that I can't live without -- local honey, mustard, sherry vinegar, citrus, Maldon sea salt for finishing dishes and espelette pepper from France. Whether citrus or vinegar, I love using acids in my cooking because they impart different tastes that alter the flavour of foods. You don't always need to add more salt to your dish! Acids help balance the flavours and they really open up the palate. I think vinegar is an underused ingredient in cooking. What ingredients can't you live without?